This story needs to be told....The Sun Theater opened it's doors in 1913 and closed for good in 1969. The next 45 years would take it's toll on the place. Steve Foster of Woemmel Plastering Company's Great Grandfather did the original plaster work inside the Sun Theater. Now 101 years later Steve Foster and Woemmel Plastering are restoring the work his Great Grandfather did in 1912. The new plaster is being recreated in the same way his Great Grandfather and his coworkers did it back in the day. I am amazed at the beauty and detail in the plaster work. 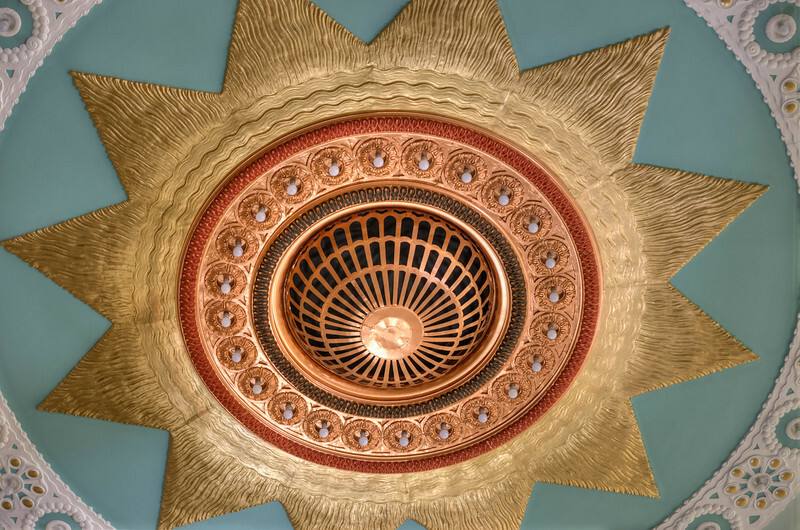 The main feature of the Sun Theater is the Medallion in the center of the ceiling.....It's Beautiful! !